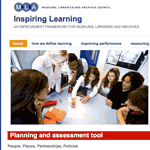 Link to the Inspiring Learning Framework has been developed by the Museums, Libraries and Archives Council (MLA) as a self-help tool to enable museums, libraries and archives to develop their learning offer. 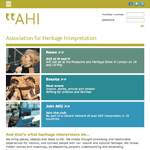 Link to the Association for heritage interpretation (AHI) website. The AHI is a key forum for anyone interested in interpretation – the art of helping people explore and appreciate our world. It aims to promote excellence in the practice and provision of interpretation and to gain wider recognition of interpretation as a professional activity. 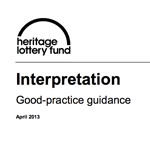 Link to the HLF article providing good practice guidance designed to help you think about an application to HLF for a project which seeks to achieve the outcome: ‘heritage will be better interpreted and explained’. 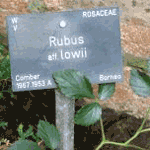 Link to a RBGE website article which offers a good explanation of plant labels and understanding plant labels. Link to PDF version of Konig,M. 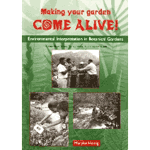 (2000) Making your Garden Come Alive! Environmental Interpretation in Botanical Gardens. Southern African Botanical Diversity Network Report No. 9. SABONET, Pretoria. 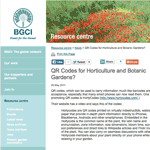 Link to BGCI resource on QR Codes for Horticulture and Botanic Gardens. 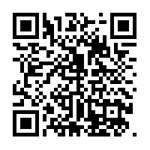 Link to slideshare presenation on QR codes in the garden. 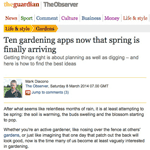 Link to The Guardian: Ten gardening apps now that spring is finally arriving. Getting things right is about planning as well as digging – and here is how to find the best ideas.